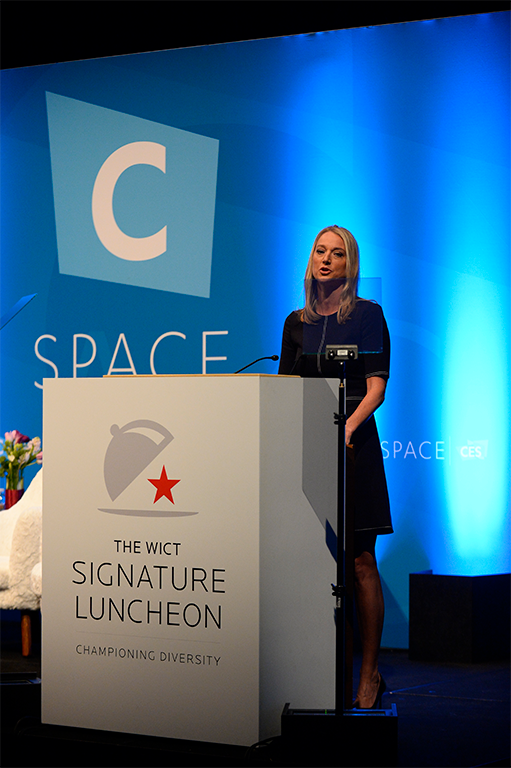 The WICT Signature Luncheon made its CES® debut on January 6, 2017, at the ARIA Hotel in Las Vegas. 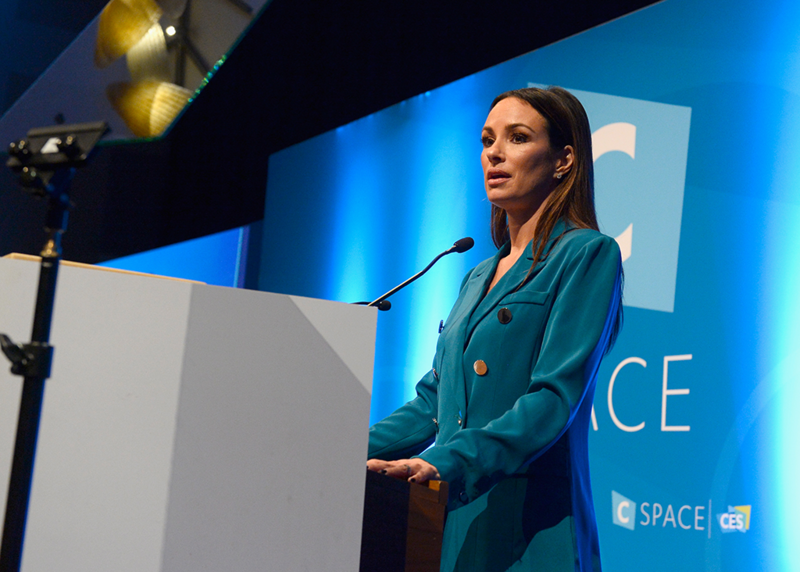 The program included an engaging and inspiring Power Panel of Diversity Champions, led by host and moderator, Catt Sadler, Co-host, E! News and International Spokesperson for the Women Like Us Foundation. Catt was accompanied by the Honorary Chair of the event, Jen Neal, Executive Vice President, Marketing for E! Entertainment and Esquire Network. Pictured above, l-r: Panelists Mindy Grossman, CEO, HSN, Inc.; Sandra Rice, SVP, National Recruitment, the Emma Bowen Foundation; Claire Smith, Coordinating Editor, ESPN and first female recipient of the J.G. Taylor Spink Award — the top honor for a baseball journalist; and moderator, Catt Sadler, Co-host, E! News. 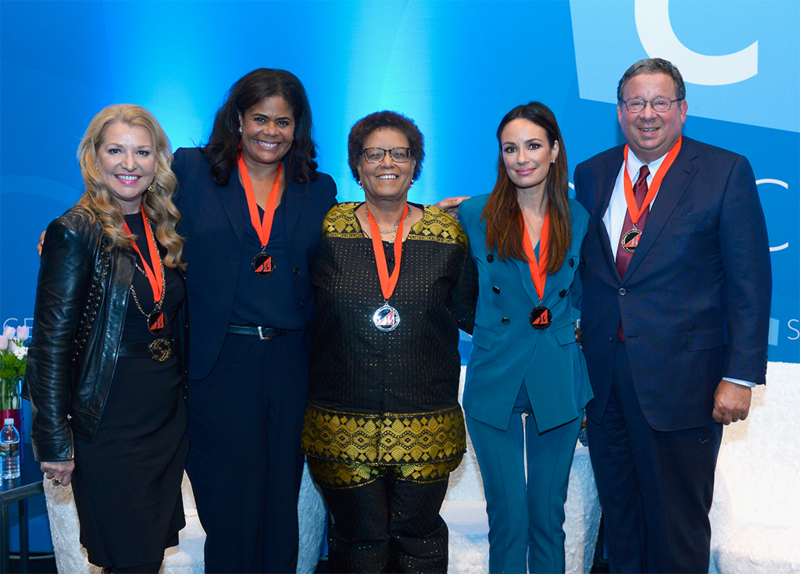 To close the program, WICT presented Diversity Champion medallions to Catt Sadler and each of the panelists, as well as David L. Cohen (pictured above, right), in recognition of their efforts to advance and empower women.